Alcohol is one of the most dangerous substances to quit cold turkey. In fact, every substance has its own symptoms and risks and can affect each person differently both in active addiction and in detox. These can be changes in the immune system, damage to organs and the psychological and emotional changes one experiences during detox. In particular, the dangers presented by alcohol are especially challenging. Alcohol is everywhere, and the frequency with which one has to drink to get high is often, many times for the better part of a full day for those with advanced alcoholism. As a result, your body becomes highly reliant on the alcohol and changes its chemistry in an attempt to deal with the damage it is being done. The body becomes physically dependent on it. Alcohol also has a powerful psychological component due to being a sedative, which are often the most addictive types of substances. What’s Wrong with Detoxing on My Own? Alcoholics have a strong physical dependence on alcohol in the body. When the last drink is taken the process to detox alcohol begins and the symptoms of withdrawal appear. Withdrawal from alcohol is so bad in fact, that it has its own condition called Alcohol Withdrawal Syndrome. The most common symptoms that someone will experience during detox from alcohol are insomnia, nervous habits such as pacing, nausea and trembling. In serious cases, there are such things as seizures, hallucinations, high blood pressure and uncontrollable trembling. If you detox on your own without medical supervision, you are rolling the dice on any of those things happening to you, without anyone around to help. Before someone can enter recovery, they must remove the chemical dependency from the body. An individual should go to a medically supervised detox so that they can overcome this dependency in a safe environment. Not only is there a professional available who can help in case of emergency, they can also help alleviate your symptoms to make the detoxification smoother. Fear of detox is a common fear for many alcoholics and being in a competent alcohol detox program can help make the task ahead easier to face. With the chemicals gone, you can now focus on changing your life and be focused on the mental challenges that lie ahead. 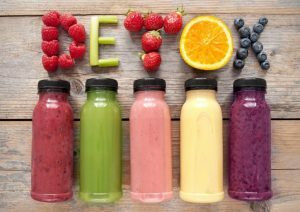 Detoxing gives your body a clean slate from with which to work. You cannot enter treatment properly without detox because your mental state is not where it needs to be for therapy and self-reflection. It is difficult to do anything while dealing with the symptoms of alcohol withdrawal. Second, the dangers are eliminated. Should you experience tremors, a seizure, or worse, you are able to receive the care you need on the spot. Successful completion of a detox program also shows a greater recovery rate of people in treatment compared to those who did not go through detox first. Making the decision to quit drinking may well be the decision that saves your life. If you have gotten to the point where your life became unmanageable, you were probably drinking quite a bit, over a long period of time. It would be nice to be able to just “snap out of it” but it doesn’t work that way with alcohol. It is a powerful substance, one that has been entering your body for years and years and it cannot be removed with one snap of the fingers. Making good decisions every day will help a long, healthy, sober life.